Southwest really doesn't want a United situation on its hands. CEO Gary Kelly announced Thursday that Southwest (LUV) will no longer overbook its flights, ending a practice that sometimes leaves paying passengers without a seat. "The last thing that we want to do is deny a customer their flight," Kelly said on CNBC. Earlier this month, a United passenger was dragged up the aisle and off a plane by authorities in Chicago when he refused to give up his seat. United needed seats for a crew on its way to work another flight. The airline's botched response turned the episode into a PR nightmare. Weeks later, United (UAL) is still working to clean up the mess. The airline said Thursday it will offer up to $10,000 to passengers who voluntarily give up their seat when too many people show up for a flight. Delta (DAL) has instituted a similar policy. Southwest is taking it one step further and plans to end overbooking outright by May 8, spokeswoman Brandy King said. The carrier joins JetBlue, which has long advertised that it doesn't overbook flights. 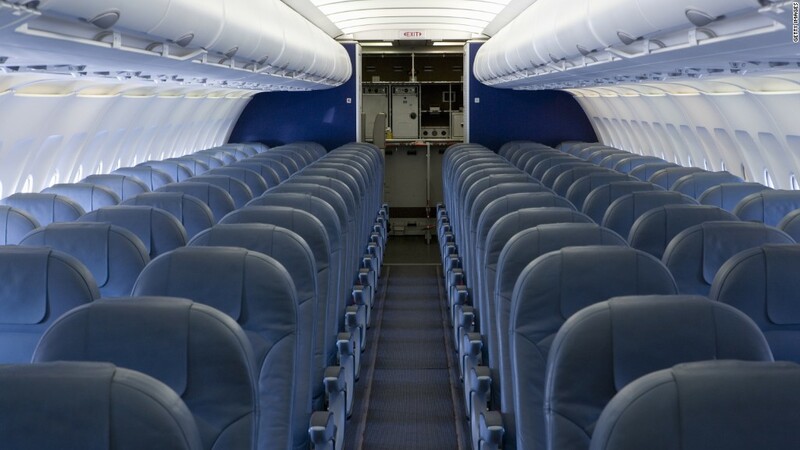 It's standard practice for airlines to sell more tickets than there are seats in anticipation of no-show fliers. When a flight is overbooked, federal rules require that airlines first check to see whether anyone will give up his or her seat voluntarily. Airlines control how much they offer to pay, though they usually shell out a travel voucher toward a future flight or a gift card. If no one volunteers, airlines can boot passengers from flights against their will. Federal rules say those fliers have the right to demand payment instead of perks -- but after the United fiasco, it's clear that airlines want to avoid these circumstances altogether. It's impossible for an airline to guarantee it will never have to bump a passenger. Carriers still have to transport other pilots and crew members to work, and an air marshal could also need a seat. But ending overbooking does make it less likely.